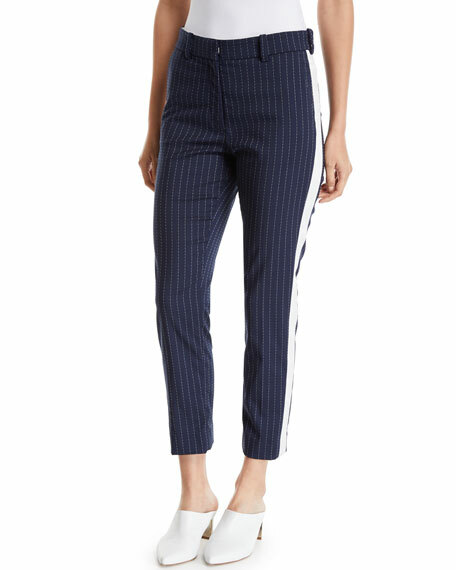 Jason Wu pants in wool-blend. Natural rise; concealed hook-zip fly. Button trim at side hem. 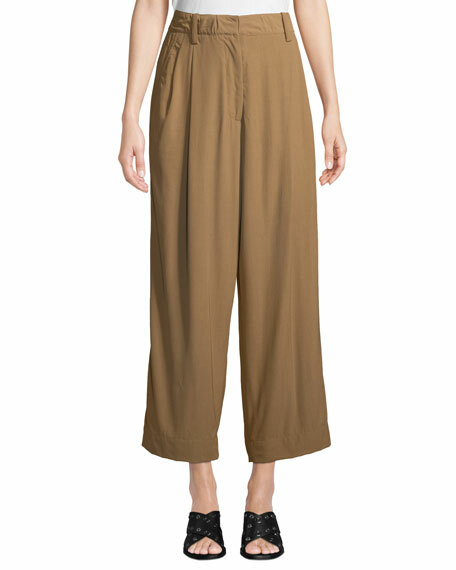 3.1 Phillip Lim pants in fluid viscose-blend. High-rise; belt loops. Side pockets. Back button welt pocket. Fitted through straight legs. Adjustable detail at back waist. Cropped hem. Hook/zip fly. Viscose/wool. Imported. 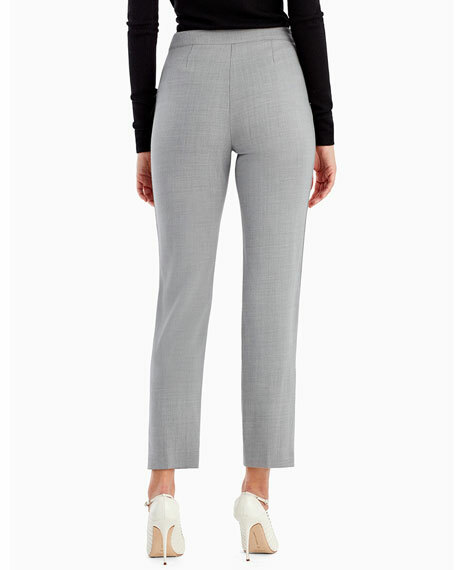 Brunello Cucinelli pants in lightweight wool-blend. Mid-rise; belt loops. Flat front. Front slip pockets; back besom pockets. Slim fit; straight legs. Cuffed hem. Ankle length. Virgin wool/nylon/spandex. Lining, polyester/acetate/cupro. Made in Italy. 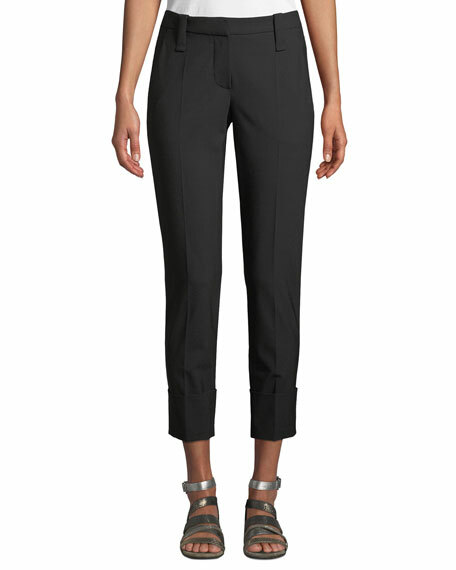 Elie Tahari "Ezmarelda" pants. High rise; pleated front. Belted waist. Rear besom pockets. Relaxed fit; straight legs. Full-length hem. Hook/zip fly; belt loops. Triacetate/polyester. Polyester lining. Dry clean. Imported.